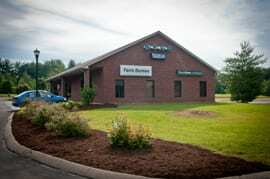 STAR Physical Therapy is conveniently located in the heart of Nolensville, Tennessee near the world famous Martin’s Bar-B-Que and across from the Post Office. We feature a McKenzie Certified Therapist (Cert. MDT). McKenzie trained therapists are able to assess your pain, quickly identify the cause(s) and then treat your symptoms appropriately. In many cases, McKenzie trained therapists can educate you to treat yourself so that you do not become dependent on attending too many physical therapy appointments. Patients that have been treated and educated by McKenzie therapists can also manage their symptoms in the future and may possibly prevent future physical therapy visits. STAR makes scheduling your physical therapy appointment easy. Simply call our clinic, provide us with your insurance information, let us know what your injury is and we will take care of the rest. STAR accepts most major insurance plans and we will contact your insurance provider(s) to verify your benefits before your initial visit. To learn more about the new patient experience, click here. You have a choice when it comes to picking a physical therapy provider. There are many reasons you should Choose STAR. We would love to care for you. Give us a call to schedule an appointment or to learn more about our Nolensville clinic.